The ideal partner to your light and bright suits. 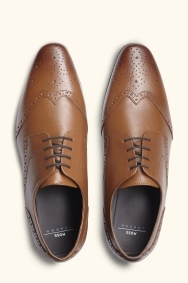 If you’ve got a blue, light grey or more adventurous colour suit in your collection, you’ll be thankful to have these brogues. 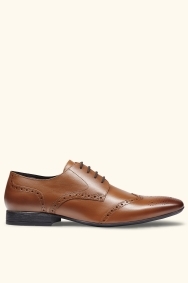 Tan will go with anything on the brighter end of the spectrum and the slim Derby shape makes them smart enough for work and special occasions. 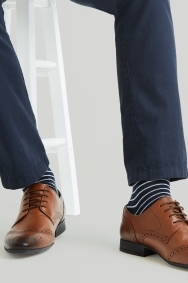 They’ll also go with smart chinos and trousers worn with a shirt or jumper, so you’ll get plenty of wear out of them. 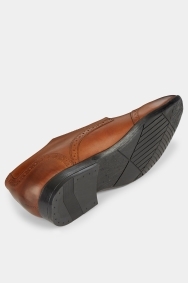 Great shoe with a slightly different tan colour which is perfect for jeans to smarten them up a bit or as a great addition to grey or blue suit trousers. Lovely fit for wide feet and excellent value for money. Comfortable, look good. Just what I needed. Very soft and comfortable, no blisters or pain at all and look great too! 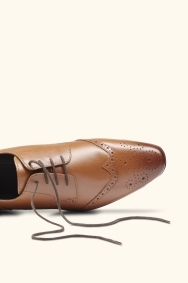 Lovely shoes. Soft leather so no need to break them in. Matched the suit and my Grandson loves them. Too long and didn't match my size, were way too big. Returned. Again... just very helpful to assist me in anyway they could.